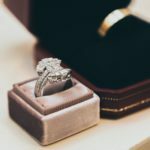 When purchasing cultured pearl jewelry, it’s best to buy pearls from a knowledgeable, professional jeweler who can explain how to make the most of your purchase and ensure that you are getting the best quality cultured pearls for your budget. But always remember that the better the quality of pearls you select, the more valued they will be over time. 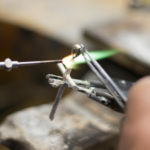 Use the following quality factors to evaluate any piece of cultured pearl jewelry before purchasing. Cultured pearls come in a wide range of colors from pink to black. While the color of a pearl is often a matter of personal preference, people with fair skin tend to look best in slightly pink or silvery white pearls, while cream and golden pearls look best on those with darker complexions. Is the combination of surface brilliance and a deep glow that seems to emanate from within the heart of a pearl. The luster of a good quality pearl should be bright, not dull, enabling you to see your own reflection clearly on the surface of a pearl. A pearl that appears too white, dull or chalky indicates poor quality. When buying a strand of cultured pearls, matching is very important. 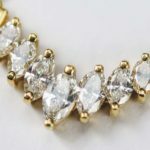 All the pearls in a good quality strand should be evenly matched in terms of luster, surface, shape, color and size. Well-matched pearl necklaces command top prices because pearl growers must harvest about 10,000 oysters in order to find enough pearls that match closely enough to make up a simple, 16-inch strand. It is very rare to find a perfectly round pearl, but generally, the rounder the pearl, the more valuable it is. 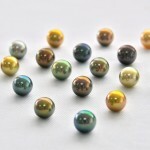 Cultured pearls also come in oval, pear and baroque shapes. 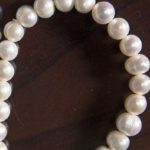 Cultured pearls are measured by their diameter in millimeters. They can be smaller than one millimeter, in the case of seed pearls, or as large as 20 millimeters for a big South Sea pearl. 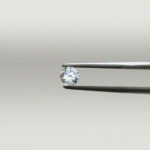 With all other quality factors being equal, the larger the pearl, the more valuable it will be since it is difficult for an oyster to grow a pearl larger than five millimeters. 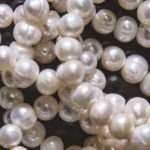 The most popular size of pearls sold around the world is about seven millimeters. Since cultured pearls are grown by oysters in nature, it is rare to find a pearl whose surface is free from any type of blemish. Blemishes can include disfiguring spots, bumps, pits and cracks on the surface of a pearl. The fewer blemishes on the surface of a pearl, the more valuable it will be.